Who wants to vote for my suggestion to get rid of pointless DVLA SORN requirements and save the country money? Pass the message on to as many people as you can. Makes me laugh that the only car I have to sorn is a 1972 Beetle, which has been gathering dust in my garage for far too long. Tax is Free on this anyway, so it always costs more to process taxation than they recoup. x10rich wrote: Who wants to vote for my suggestion to get rid of pointless DVLA SORN requirements and save the country money? Chap near me has his car on SORN but still occassionally uses it. 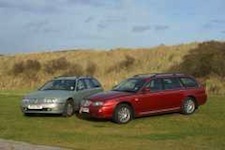 Sorry, I am happy with SORN and do have a car that is on SORN. Still in the UK we are lucky - if you have a laid up car in France you have to insure it. I agree with Paul,it does help stop people using cars without tax. As indicated, the SORN system was introduced so that vehicles could be monitored better as to if they should be on the road or not. Most that don't have a Tax disc generally don't have insurance either so any system for reducing the problem in this instance gets my vote I'm afraid. Many a motorist on SORN just goes for the "occasional" drive, and this gets picked up regular on the monitoring van here near the Beach every Summer. You would be surprised by the numbers that are pulled due to no tax and no insurance etc. People that are exempt from Road Fund Licences be it due to age of car or if disabled etc still have to apply and have a displayed Tax disc at Zero rate so there will always be a lot of waste of public money.